AMMAN — A cinereous vulture, a globally near-threatened species, is being cared for and rehabilitated after being found exhausted earlier this year near the Dead Sea, a conservationist said on Wednesday. A farmer found the juvenile bird exhausted in an area near the Dead Sea in winter and handed it over to the Royal Society for the Conservation of Nature (RSCN), which placed the bird at Al Mawa wildlife foundation for rehabilitation. “After providing the bird with the care it needed, it was released in January in Dana Biosphere Reserve, but was found sick later near the Jordanian-Saudi border after consuming something poisonous,” said Tareq Qaneer, a researcher at RSCN’s conservation monitoring centre. The bird was treated again at Al Mawa wildlife foundation and has since recovered, Qaneer said, noting that conservationists are waiting for the right time to release it back into the wild. “We plan to release the bird again in autumn, during the migration season, because the cinereous vulture is a migratory bird,” Qaneer told The Jordan Times. He underscored that sighting a cinereous vulture in Jordan is rare, noting that the bird species was last recorded in Jordan in 2011. “Before it is released, the bird will be equipped with a satellite tracking device, which the Vulture Conservation Foundation (VCF) has donated to help track and monitor the bird’s travel,” Qaneer noted. The Zurich-based VCF, an international NGO for the conservation of European vulture species, posted on its Facebook page the story of the cinereous vulture that received treatment in Jordan. In its post, the foundation thanked the RSCN for the attention and care it provided to the bird. “The Middle East is often regarded as a death trap for many migratory birds, and so it is important to value and support the conservation heroes working there. Thank you RSCN, and we hope this vulture can recover again,” the foundation said on its Facebook page. 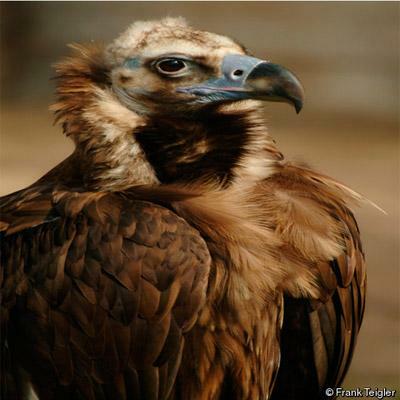 The International Union for the Conservation of Nature (IUCN) Red List of Threatened Species categorises cinereous vultures as near-threatened. “This species has a moderately small population which appears to be suffering an ongoing decline in its Asiatic strongholds, despite the fact that, in parts of Europe, numbers are now increasing. Consequently, it qualifies as near-threatened,” according to the website of the IUCN Red List of Threatened Species. Its global population is estimated at around 7,800-10,500 pairs, but little information is available regarding the status and population trends of the species in Asia, where the bulk of the global population resides, according to the website.